French case law Archives - Page 2 of 22 - Patent my French! Today, Patent my French! features a special post. Indeed, I had the honor and privilege to interview Marie-Christine Courboulay. Ms. Courboulay recently retired after serving for almost 13 years as a judge in the 3rd chamber of the Paris Tribunal de grande instance (TGI), namely the chamber in charge of IP litigation. You can see her name on the front page of a number of prominent patent judgments issued over the years. Ms. Courboulay was probably the single most senior and experienced patent judge in France in the recent past – given that, and this was one of the subjects we discussed, the turnover of IP judges in this country is usually very high. Thus, my understanding is that she took a major part in framing recent case law on some of our favorite hot topics here on the blog, such as exclusion from patentability, or the application of the statute of limitations to patent nullity suits. Therefore, I am sure that her views on the French legal system and on the current state of patent law will be of interest to all readers. So I am very grateful that Ms. Courboulay accepted to (electronically) sit and have this chat. In the first part of the interview, Ms. Courboulay tells us a little bit about her career; then she provides some insider’s perspective on how the 3rd chamber of the TGI operates; she also offers some advice to litigants and their attorneys, gives her opinion on the quality of patents. The last bit of today’s installment focuses on the more specific issue of prosecution file history – is there or isn’t there a notion of estoppel in this respect? One final note: I translated the questions and answers into English, therefore any residual error despite the usual extensive proofreading would be entirely on me. Some of the cutting-edge interview tools that we use here at Patent my French! Can you briefly recount your career? What positions did you hold as a magistrate? How long were you in charge of IP cases at the 3rd chamber of the Paris Tribunal de grande instance (TGI)? I joined the magistracy in January 1982, after a master’s degree in business law at the University of Paris I. I was a trainee judge for two years, and I did my internship in a court in Bobigny. Then, I was appointed judge (juge d’instance) from March 1985 to September 1996, first in a small court in Coulommiers, then in the Tribunal d’instance (TI) of the 19th arrondissement in Paris, and finally in the TI of the 13th arrondissement. During this period of time, I worked a lot on the then new laws relating to over-indebtedness and I got to train the members of the over-indebtedness commissions in a program set up by the Banque de France. I joined the Paris TGI in September 1996 and I worked for three years in the 18th chamber (specialized in commercial leases) and another three years from September 1999 to September 2002 in the 9th chamber (specialized in banking law). At that time, I worked on the start of electronic contracting and on the proof of consent, when the first agreements were executed online. I was also in charge, like all judges of the 9th chamber, of the execution of international letters rogatory assigned to the Paris TGI, and I took a lot of interest in this work, which required a knowledge of the law applicable in the countries making the requests. In September 2002, I joined the 1st chamber of the Nanterre TGI as a vice-president, and I discovered literary and artistic property on this occasion. I came back to the Paris TGI in September 2005, in the 3rd chamber, and I did not leave it for the rest of my career, as I did not want to be deprived of such beautiful litigation, open to the world. How many different cases does a judge of the 3rd chamber of the Paris TGI handle per year, on average? At least two judgments on the merits per week, or eighty per year. Approximately twenty-five case management orders per year. Approximately thirty urgency judgments (“référés”) each year, plus extreme urgency judgments (“référés d’heure à heure”). Among these cases, what is the approximate distribution between copyright, trademark, design and patent cases? I cannot precisely answer this question because I do not have the statistics. I would say that half of the cases are trademark cases, 10% are design cases, 25% to 30% are copyright cases (including copyright on clothing) and 10 to 15% are patent cases. How much time does a judge have to devote to a patent case, on average? It depends on the complexity of the patent and the level of expertise of the judge. Between three and ten full days. Do you think that the training of judges is sufficient for handling patent cases, or that it should be improved? The training of judges to deal with patents, but also IP as a whole (because an artistic copyright case is at least as complicated as a patent case), should be improved in the sense that this function should be considered as a full-fledged specialty. Each new judge should be offered a compulsory theoretical training from one week to fifteen days before taking office. For how long are judges appointed to the 3rd chamber of the Paris TGI, on average, and do you consider that this is sufficient, or too short? Judges are appointed to the 3rd chamber for an average of three years, and this duration tends to increase. This is much too short because judges leave when they begin to be really well trained, which creates a huge loss of value for the court. Furthermore, it requires a constant (and exhausting) effort for training newcomers, despite their generally high merits and hunger for knowledge. At last, it seems that there may be a possibility for judges to be able to get promoted without leaving, thanks to the creation of the Economic Pole by President Hayat. This could make it possible to keep judges interested in this subject for a longer period of time, as they would be able to make part of their career there. Is it an asset for a judge of the 3rd chamber to have held a previous magistrate position in a field other than IP, and if so why? Of course, to understand IP law, you need to have an overview of society as a whole: its evolution, its major trends, and especially its innovations. I would say that one must take an interest in all economic sectors of society, but also have a pronounced taste for culture. For example, if you have worked on the renewal of commercial leases, you know that the establishment of competing brands in a same sector is a factor of increase in commerciality, which in turn makes an increase in rent possible. This is a factor which can be used to reason, when it is claimed that competitors’ ads on a result page of a Google search creates a prejudice. What is true in “real” life is also valid in the so-called virtual economy (which it obviously is not). So, yes, previous experiences of judges are useful and rewarding, as well as their personal history. Similarly, I am very much in favor of the integration of judges who had a career in the private sector, or as independent professionals. It is again a great opportunity to have a colleague in the court who worked in another context and who can shed light on what litigants expect in this area, or on the difficulties they may have. And when this previous career was in the field of IP as was the case several times (I had colleagues who had been IP lawyers or had worked at the INPI), the benefit to be gained from their experience is even greater. How do the different judges of the 3rd chamber work together? In particular, is there an effort of harmonization among judges to avoid discrepancies between judgments? First, the judges of the 3rd chamber work in three-judge panels and deliberate on the cases assigned to their panel. But of course, they also discuss the various cases between them, and they try to find harmonized solutions to avoid any disorder with litigants. All magistrates are very much aware of the fact that their decisions must comply as much as possible with the requirement of predictability. For example, they circulate the decisions that they issue when a new point is raised and a solution is provided by one of the panels (for example regarding the application of the statute of limitations to patent nullity suits, or regarding the nullity of infringement seizures). Also, there are so-called chamber meetings with an agenda on points of law where there seem to be differences of interpretation or appreciation. There are also information meetings organized by the Cour de cassation on specific topics (trademarks, patents, etc.) to raise the awareness of judges on solutions to various current legal issues. 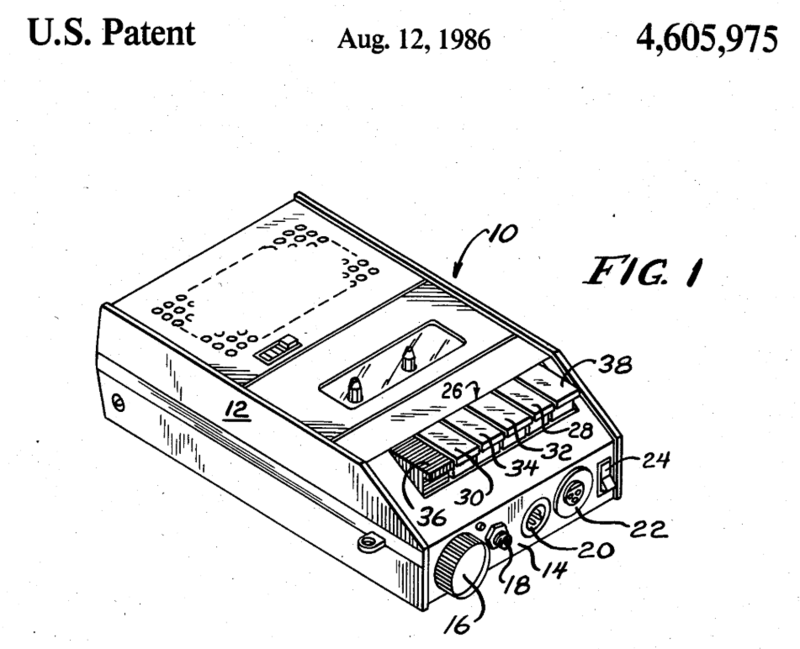 Patent cases are sometimes highly technically complex (e.g. in the biotech or telecom field). How do judges deal with this technical complexity? Are the explanations of the parties’ counsels in their submissions and during the hearing generally sufficient to fully understand the underlying technical issues, or would an additional effort of popularization be useful? The hearing time, if it is well calibrated (I would say at least half a day per patent), is enough to explain the issues, and it is obviously more than necessary for the court. However, in the case of a particularly complex lawsuit, it is possible to appoint a consultant whose main task will be to objectively explain the patent, the technology, but also the prior art. The statute thus gives the court the necessary tools to understand the technology involved in e.g. 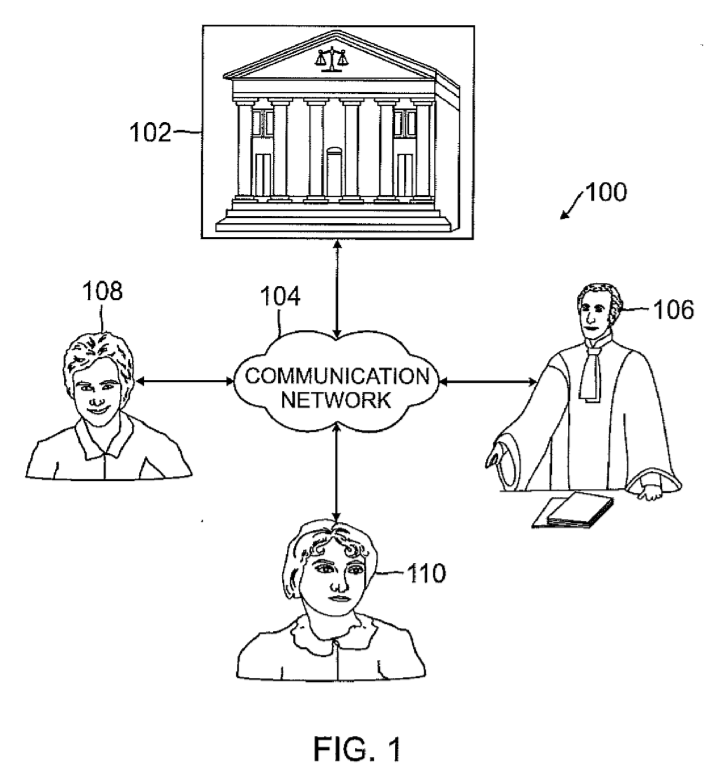 telecom patents – which to me are the most complex ones. In patent cases, it is not uncommon for parties’ submissions to reach several hundred pages. Is this too much? Do judges have the time needed to read and digest such large file wrappers, given their heavy workload? Yes, this is too much, and I must unfortunately say that, often, many pages are irrelevant, since they contain repetitions in various forms. We must remember this sentence: “sorry, I did not have time to keep it short”. Judges from other European countries also complain about the same phenomenon and also conclude that the strength of the case does not depend on the weight of the written submissions; and I know that in the United Kingdom, on appeal, submissions are limited to 25 pages, because the court already has the first instance judgment. Judges do not forget that this can be, in some cases, a tactic to drown them, so that they are not able to properly handle the litigation anymore, if each case reaches 200 pages without any reason. I believe that, one day, it will be up to the case management judge to limit the number of pages allowed per case, in view of the first exchanges (complaint and defense). What do you think is the role and use of the attorneys’ pleadings in the trial? As far as patents are concerned, oral argument is essential to clearly explain the invention and to allow the judge rapporteur who has read the submissions and the patent to verify that he/she has properly understood what the case is about. It is also essential for the presentation of the prior art, and the voice of each party sheds a different light on the topic. Finally, it is essential for presenting the comparison between the invention and the alleged infringement by the patent proprietor and by the defendant. On the other hand, for the determination of damages, clear written submissions with convincing supporting documents are more than enough. Is there any advice you could give to parties and their counsels to improve their chances of convincing the court in patent litigation? A clear presentation of the invention, optionally with the help of diagrams or slides. A debate limited to the real issues at stake. Avoid raising quibbles instead of arguments and avoid raising inadmissibility pleas and other motions on the communication of exhibits that pollute the real debate and sometimes weaken the position of those who raise such objections without any serious reason. Do you consider that patents granted by the INPI or the EPO are generally of a good quality? Or is this quality insufficient in your opinion? In the midst of a debate on the granting procedure of French patents, I can only say that the French patents that were submitted to me often suffered from a lack of quality, and I have some oddities in mind which were worthy of a cabinet of wonders. I am in favor of a better control of French patents by the INPI, in particular by not focusing on the sole criterion of novelty, which is totally insufficient and puts us in a miserable position compared to other European offices. However, it seems to me that, in order for this reform to make sense and not give rise to other criticisms on the process of granting French patents, it will be necessary to hire many examiners trained in the analysis of inventive step, sufficiency of disclosure and extension of subject-matter beyond the application as filed, and also trained in discussing with the applicant and then with possible opponents, in full compliance with the adversarial principle. With regard to European patents, their quality often depends on the technical field. Despite a more in-depth analysis of the various criteria mentioned above, there is a significant invalidity rate in French courts, but also in German, Dutch or English courts, of the order of 60 to 70%, which is still a lot. I would say that the other criticism that can be made against European patents is the extreme length of the proceedings before the examining division and then the opposition division. What is the role of the modifications made by the patent proprietor during examination proceedings, as well as of their statements in front of the patent office concerned, at the litigation stage? In your opinion, should the proprietor be bound by the strategy and the procedural choices adopted during examination? Both French case law and Dutch case law take into account the amendments made during examination proceedings and the statements made to the patent office, when they are submitted to the court, because they are then elements of the dispute. 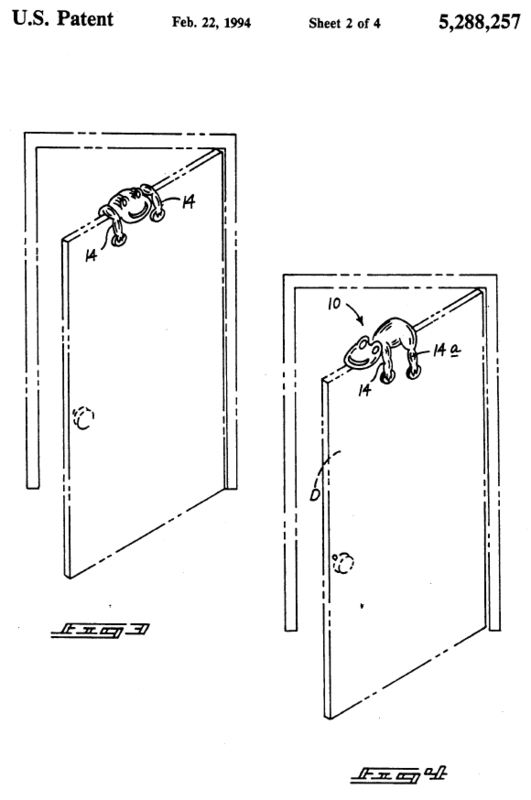 And the patent proprietor is bound by the modifications, which are in any case enshrined in the patent as granted, which is the very basis of the case, but also by its statements, insofar as they make it possible to understand what the proprietor itself considers as the perimeter of its invention, as the proprietor specifies the limits thereof (what is part of it and what is not part of it). That said, the proprietor may take another position, but the new interpretation will be read in the light of the modifications made and ratified by the patent office in the granted patent, and of the reasons for which the modifications were agreed to be made. It seems that the German Supreme Court in Düsseldorf has now slightly opened the door to this possibility, which it had long refused, even though some regional courts, including the one in Munich, already took statements before the patent office into account. Are you getting tired of automotive equipment technology and anti-hypercholesterolemic drugs? This would be understandable. Cheer up, as today I give you a seasonal alternative, with this ruling which involves a patent directed to a “method of securing, monitoring and management of the ski area of wintersportplaces“. As if this technical field weren’t unconventional enough, the ruling is also unusual in that it was issued by the Lyon Cour d’appel. The Paris courts have had exclusive jurisdiction over patent matters for a number of years now, so it is increasingly infrequent to come across a judgment issued in another forum. Who knows, this could actually be the very last one. Mr. Costa, who lives in the Rhône département, owns European patent No. EP 1048789, filed in 2000 and which claims a French priority. The patent was licensed to a local company, Construction Moulage Fabrication Polyester (CMFP). 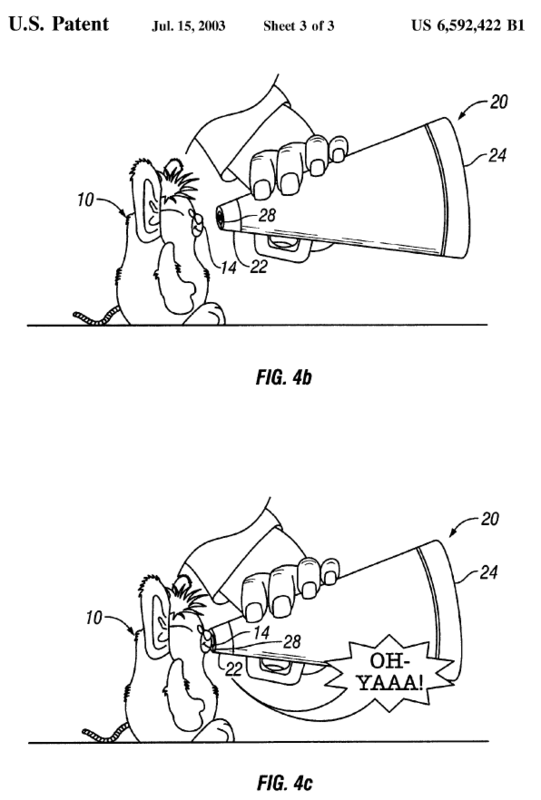 The patent was granted in 2003. Shortly thereafter, the patentee and the licensee initiated infringement proceedings against Perception and Guidance Embedded Systems (now Perguisys), Kässbohrer Engins au Service de l’Environnement as well as SA Aménagement Touristique de l’Alpe d’Huez et des Grandes Rousses. Already from the name of the third defendant, it can be inferred that the alleged infringement takes place in the Alps area. As this was 15 years ago, the complaint was filed with the Lyon Tribunal de grande instance (TGI), which had jurisdiction at that time. Two oppositions were filed at the EPO, one by Sabatier SA and a joint one by the defendants Perguisys and Kässbohrer. This led the Lyon TGI to stay proceedings pending the outcome of the opposition. Hence the extraordinary length of the proceedings. The oppositions were rejected by the opposition division in 2006 and the rejection of the oppositions was confirmed by the Board of appeal in 2009. Only then were the infringement proceedings resumed. But it took 6 more years for the Lyon TGI to issue its judgment, in 2015. This is amazingly long but (1) we don’t know all the details, and it is possible that all parties did their best to delay the proceedings; and (2) now that patent litigation is centralized in Paris, my understanding is that there are no longer cases that drag on forever to this extent – except when the Cour de cassation successively sets aside appeal judgments four times, like in the Nergeco case discussed last week. In the first instance judgment, the infringement claim was dismissed, and so was the defendants’ nullity counterclaim. The plaintiffs appealed, which now brings us to the appeal judgment. Method for protecting, following up maintenance and managing the field intended for skiing in a winter sports resort using mobile protection, control and maintenance means equipped with means for marking the position and guiding vehicles from a satellite network or from fixed markers, using fixed devices which need to be controlled and maintained, using a digitized cartography, as well as radio or remote transmission cables for transmitting digital data between at least one computer situated in a central station and computer terminals situated in intervention services or on mobile means fully or partially associated with automatic or manual coding means, characterized in that the computer system situated in the central station is able to divide the site of the winter sports resort into homogeneous zones with respect to at least one criterion from a series of coherent criteria zones stored in said computer system connected by remote transmission means to the mobile means and the intervention services so that when a mobile element is positioned in an homogeneous zone of the skiing field, the computer system of the central station is able to immediately be aware of the criteria applied to this homogeneous zone so as to deduce from this task orders, observations or action to be taken by the central unit and/or by the mobile element and/or by the intervention or maintenance services. Peter Rabbit managing the ski area. The validity discussion is extremely short in the decision. Apparently, the defendants raised the same arguments of lack of novelty and lack of inventive step that they had already raised in first instance. The appeal judges thus simply stated that they agreed with the first instance judges and had nothing to add. The infringement discussion is more interesting. The plaintiffs alleged that there was infringement by equivalence. According to the court, the patented method comprises numerically mapping a ski resort site in the form of points according to coordinates, and then storing the information in a computer of a central station so as to provide a virtual grid in the form of planar polygones (cf. the claimed “digitized cartography“). Fixed and mobile devices are deployed in the ski area and supply positional information to the central station using transmission means. […] Even though the [allegedly infringing] system uses GPS technical means, it does not achieve the sophistication of the patented system, in that it does not make it possible to provide a division of the area into homogeneous zones in real time on the screen, based on predefined and modifiable criteria. Contrary to what the appelants state, this sophistication […] prevents infringement by equivalence from being acknowledged, as the Snow Sat system is of a lesser quality and lesser efficiency. Okay. This is kind of frustrating as it is very far from being a clear and complete infringement reasoning. But again, you probably cannot expect too much from a court that may not have seen any other patent case in a number of years. But there is possibly one interesting take-away message though. The established standard for assessing infringement by equivalence under French law is the following: two means are equivalent when, although they are of a different form, they perform a same function for a result of a same nature, if not of the same degree. Lyon’s position is that, since the defendants’ method is not as efficient as the patented one, it does not infringe. […] A means is not equivalent when its different implementation leads to a result of a same nature but of a different quality or efficiency. This is not a common aspect of equivalence discussions. But it is not unheard of. In fact, in a previous post, I reported on a similar analysis by the Paris Cour d’appel. Thus, if anything, today’s judgment confirms that assessing infringement by equivalence is tricky. You cannot just look at the function of the means at stake – and at whether the function was known from the prior art. You also have to look at how effective the means is and what the quality of the end result is. CASE REFERENCE: Cour d’appel de Lyon, 1ère chambre civile A, September 20, 2018, Antoine Costa et al. v. Perguisys et al. (RG No. 2015/06635).